This article is for anyone who works or is interested in user interface, whether you are a developer, designer, consumer, or enthusiast, and realized how little you actually know about the history of your industry. My intention is to spark conversation and deeper research. You have to know the past to understand the present. User Interface is the dimension that lies between humans and machines. It is the plane of interaction between the operator and the device. User Interface Design is the intentional composition of elements on a device in which a user interacts with. Maximization of usability (the measurement of ease and learnability of an interface) and user experience (the user’s response to their interaction with the interface) are the two of the main considerations when designing for UI. These ideas are significant, because machines are, in most respects, made by people, for people. A Graphical User Interface, or GUI, allows users to interact with a computer through secondary interactions, such as icons and input fields, as opposed to learning command-line interfaces (CLIs), which today we would call “coding”. This ingenious technology provided access to a significantly larger population of people to decipher and experiment with computers after its introduction. Computer/user interaction research and the novel technologies which have enabled humans to do this, is called Human-computer interaction, or HCI. The term was first used in the mid-Seventies/early Eighties, and made a distinction between computers as a complex tool, versus other simple tools, such as a an axe or a pair of pliers. Simple tools, for the most part, have one intended function, where a computer creates an versatile exchange dialogue with humans as they interact with it. Perceptions such as this lead to further comparison of human-computer interaction to human-to-human interaction, a discussion which will I will not entertain in this feature, albeit it is an interesting topic to consider. A field of study a bit more human-focused is human factors and ergonomics (HF&E). HF&E focuses on the design of products and/or systems that underscore the people who use them, attempting to optimize human well-being and overall system performance. These hypotheses are particularly important, as computers and devices are more readily considered as extensions of the human body in today’s “developed” society. The evolution of user interface lies in its pneuma: we consider recognizable ideas and employ them to cultivate new concepts and develop more efficient processes. As with many advancements throughout history—whether it be through the Arts, political tables, social climates, etc.—each new progression forward is typically in response to a preceding movement. The natural expansion of computing power, with the help of countless remarkable minds, is no exception. The rise of steel and oil giants in America facilitated the need for more increased labor power in factories across the country. Technical skills were suddenly essential in order to make a living, although working conditions were poor, and pay meager. 1. They develop a science for each element of a man’s work, which replaces the old rule-of-thumb method. 2. They scientifically select and then train, teach, and develop the workman, whereas in the past he chose his own work and trained himself as best he could. 3. They heartily cooperate with the men so as to insure all of the work being done in accordance with the principles of the science which has been developed. 4. There is an almost equal division of the work and the responsibility between the management and the workmen. The management take over all work for which they are better fitted than the workmen, while in the past almost all of the work and the greater part of the responsibility were thrown upon the men. Taylor’s intentions were to streamline operations of the factory institution and to increase worker productivity. However, to liken man to an unrelenting machine, or to dehumanize the laborer, lead to a hunger for sophisticated technology to help elevate the worker. The Voder was a simplified version of the original Vocoder, a device developed by engineer Homer Dudley, primarily used for military communication purposes (for more history on the Vocoder, watch a replete explanation here). The Vocoder was the first electronic speech synthesizer, ripping apart human voice input and breaking it down into a necessary-only frequency output. The Voder, in contrast, did not use speech input, but rather solely electrical impulses. These were some of the first examples of human speech interaction with a machine in this manner. 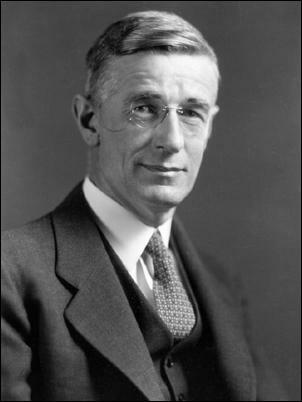 One could argue that Vannevar Bush was a prophetic design thinker, who in 1945, summarized his ideas for the future of technology in the article As We May Think. Up until this point, most scientists focused on the improvement of technology in relation to warfare. Now that the war was coming to an end, Bush began entertaining ideas of technology that would not merely propel man’s physical powers, but rather the strength of the human mind. This “enlarged intimate supplement to memory” was the first written account of a prototype for a personal computer. Little did Bush know, the proclamation of his ideas would lead to a rapid progression of computer technology. Numerous women during WWII were strong mathematicians who offered their knowledge to help further war efforts. Although most of them were not recognized or given proper credit for their vital contributions, their expertise was imperative to the development of pivotal computer technology. 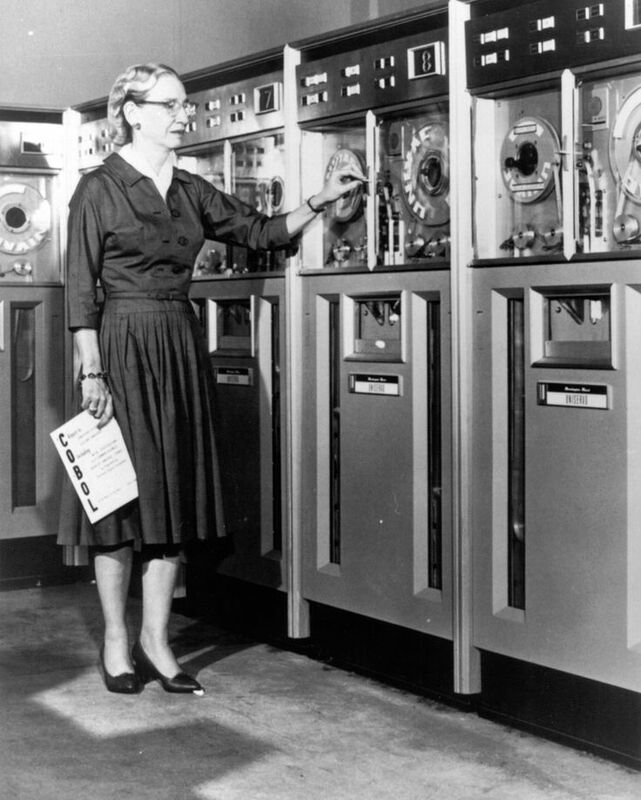 In 1945, Jean Jennings Bartik was offered a job by physicist John Mauchly on a new machine called the Electronic Numerical Integrator and Computer (ENIAC), the first fully electronic general-purpose digital computer. Bartik was one of six female mathematicians who worked on the 1800 sq. ft project to predict bullet trajectories (it is rumored that until the untimely demise of the ENIAC, it had achieved more calculations than the whole of mankind). These six women subsequently joined forces with Grace Hopper, a math professor at Vassar College who later joined the Navy Reserve. Hopper developed a programming language called the Common Business Oriented Language, or more commonly known as COBOL. Unlike its predecessor, FORTRAN—which was primarily used for scientific numerical analysis, COBOL used words instead of numbers to manage large of amounts of data and reports, mainly for business purposes. COBOL was an important development in computer programming because it mimicked human language and was easy to decipher, making it accessible to a vast range of people. Henry Dreyfuss was an American industrial designer and author of Designing for People, a book in which he endorsed his own ideas around the relationship between humans and machines—namely his notion of, “fitting the machine to the man rather than the man to the machine.” With the help of Alvin R. Tilley, Dreyfuss promoted a new way of looking at a human’s relationship with technology. 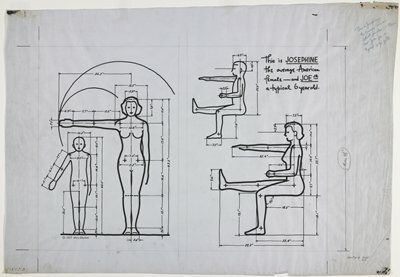 Dreyfuss’ writing and Tilley’s drawings led to the emergence of the Universal Design Movement, the Humanscale Project, and the rise of new practitioners who focused on ergonomic design. These new ergonomic designers began to describe the space where human and machine meet as “interface”. Dreyfuss’ work has expanded to become what we now refer to as interaction design. Douglas Engelbart grew up during the birth of computers, which were still so large that the smallest of them occupied the space of an entire room. As a radar technician during WWII, Englebart was struck by an article he stumbled upon in a reading library in the Philippines. 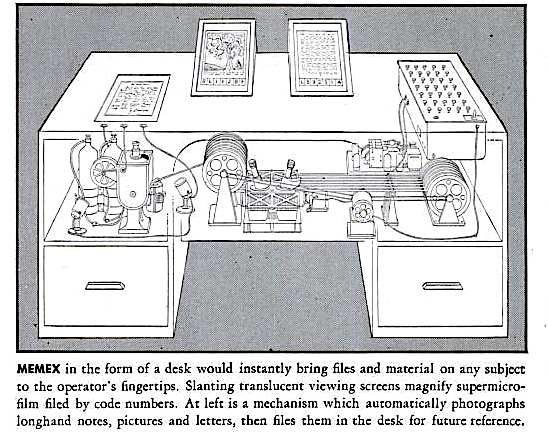 This article was As We May Thinkby Vannevar Bush, which described the Memex, an idea that would propel Engelbart to begin his most influential life work: the computer mouse. Engelbart envisioned various ways to move a cursor on a computer display—something no one had mastered yet. He finally developed a prototype, which he presented during the “Mother of All Demos” in 1968. The mouse enabled users and technicians to interact with menus and other interface tools without having to write out all of the code. People could now have a dialogue with a computer screen. Engelbart was a visionary by nature—he offered other forward-thinking ideas in addition to his groundbreaking invention. In 1960 at the Solid States Circuits Conference in Philadelphia, Engelbart proposed his theory that through inescapable technological evolution, computers would begin to shrink and continue to do so until they could no longer physically progress. Five years later, this idea would morph into “Moore’s Law”, named not after Engelbart, but after Gordon Moore, cofounder of Intel. First introduced by E.A. Johnson in Touch Display — A Novel Input/Output Device for Computers, touchscreen technology would become highly influential in defining the way humans interact with computer screens. 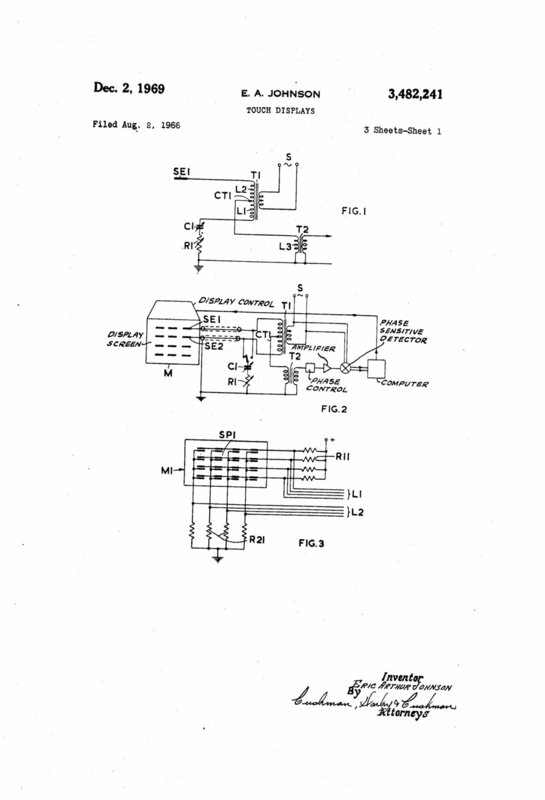 Johnson described a type of touchscreen, now referred to as a capacitive screen, that used electrical charges in the human skin to close an electric circuit to communicate processes. He patented the idea in 1969, and it was later developed in 1973 as a radar screen used by the Royal Radar Establishment in the UK. This type of touchscreen technology would be used until the 1990s when the resistive touchscreen became popular, and then revived again some years later through popularity of Apple’s products. Xerox, a leading print and paper manufacturer, joined the technological revolution and founded the Palo Alto Research Center (PARC) to develop new computer technology. Here, in 1973, leading scientists designed and built the Xerox Alto, the first Graphical User Interface (GUI). The Alto was not intended for commercial use (as one cost roughly around $12,000 to manufacture). While it utilized the state-of-the-art mouse, it offered straightforward WYSIWYG (What You See Is What You Get) style editing, making it easy for users to comprehend. The Alto revolutionized our understanding of computers. With it’s clear processes, users could print exactly what they saw in the screen in front of them. It also offered features like removable data storage and email, connecting people in a way never seen before. Xerox’s invention catapulted the industry into a race to see who could refine the computer into a faster, smaller, easier to use machine until it would eventually reach its physical limits. With growing digital technology, Xerox feared their business would become obsolete unless they generated a solution to stay relevant. This propelled the company to hire brilliant minds to develop technology never seen before. PARC accommodated over half of the nation’s leading scientists and mathematicians who worked incessantly to predict where the future of technology was heading. However, the Alto was too unconventional for executive approval in the company. Xerox’s leadership at the time didn’t have the vision or understanding of how groundbreaking this technology would become. There was a man, however, who did see the importance of this interface, and that was Steve Jobs. An agreement was made where Apple traded $1 million of stock in its company for Xerox’s GUI prototype technology. In 1979, Bill Moggridge was commissioned to create a new type of portable computer by GRiD Systems Corporation. Two years later, prototype was released: the GRiD Compass. It was exceptionally expensive to produce, so as with many significant technological inventions, it was initially reserved for the government, high society establishments, and space exploration programs. Moggridge later went on to cofound the design firm IDEO, a household name in the design community. In 1981, IBM was known as the “Big Brother” in the computer industry. When they released their first personal computer, they recruited Charlie Chaplin to advertise their more “approachable” side. The IBM PC utilized Microsoft’s MS-DOS operating system, spawning a prevailing relationship between the two towering companies. Inspired by the IBM PC, Compaq, an unknown competitor at the time, created a portable computer that was essentially an IBM PC in a “luggable” form. This 28-lb, carefully designed computer quickly caught fire with the public, and skyrocketed the company into the spotlight. Although many other models of personal computers were unveiled, the release of the Macintosh changed the way people thought about personal computers. Jobs was determined to retain Apple’s relevance in the computer industry, not allowing IBM to harbor all the glory. As Steve Jobs presented the Macintosh in 1984, the audience exalted with delight. The iconic “hello” screen coupled with Apple’s product slogan, “For the rest of us,” generated an air of reliability and trust within the consumer. Apple crafted a new connotation for the computer—one that could be welcomed by any type of person, without overwhelming intimidation or cynicism. After much competition from ‘IBM-compatible’ manufacturers, IBM copyrighted their own standard, called Micro Channel architecture, that was no longer compatible with older versions of their PCs in an effort to monopolize the market. This, however, backfired, as it caused problems for many businesses running on the previous standard, in turn rendering the new standard introduced by IBM unsuccessful. In response to IBM’s decision, the nine leading companies manufacturing IBM-compatible computers banded together and created their own standard, the Extended Industry Standard Architecture (EISA), which was not only compatible with previous versions, but also easily available for companies to purchase. In 1992, IBM had released the ThinkPad with great success. Naturally, Apple needed to create something better. The Apple Newton could do everything: send a fax, save notes, store contacts, manage calendars, and fit in your pocket. Despite its already-long list of capabilities, Apple unveiled a brand new function: handwriting recognition. It also included a stylus that the consumer could use to write on the screen. The concept began with ample promise, but unfortunately, there were too many inconsistencies within the handwriting recognition software, and the project was terminated. A valiant failure, however vital for progress, the Newton grabbed the public’s attention. It’s the way you experience the world, it’s the way you experience your life, it’s the way you experience service. The focus on user experience would continue to push technology and those creating it to align with our human capabilities and needs. Futuristic, colorful, novel: the design of the first iMac was unlike any computer released before its time. Translucent colorful plastic bestowed upon the consumer a “nothing to hide” maxim, further deepening the growing relationship of trust & understanding between human and computer. Released just under two decades ago, the futuristic design of the first iMac now seems clunky and cumbersome compared to the attenuated and sleek design of today’s iMac. As producers continued to jam-pack additional functionality into small products, the phone became the next hot commodity. The J-Phone created a camera in everyone’s pocket, which would be further refined by hundreds of producers to be more compact, have a larger screen area, and contain even further functionality (apps, video chat, games, portable internet, etc.). Although the above photo is a bit comical, it speaks to the “shrinking” trend tech producers have, and still are, racing to produce: the most minimal, lightweight, and fastest products physically possible — which should sound peskily familiar to you by now. In the turn of the century, Apple and Microsoft released two new operating system upgrades for their products: Apple’s Mac OSX and Microsoft’s Windows XP. These designs would be the basis for today’s operating system upgrades. In 2010, Apple introduced it’s new Retina Display, which packed twice as many CSS pixels into each inch, creating a crisper, cleaner display of type and image on the screen. Retina Display has revolutionized the way we communicate with the droves of screens we have the opportunity to interact with—desktops, tablets, phones, watches, glasses—and could be one of the last instrumental updates to a physical device in terms of interface. Innovations such as this have contributed to the ever-growing arboreal evolution of specialty careers in technology, emphasizing the importance of the trajectory of user interface, not only for consumer, but also for the laborer. We are, and will soon be completely, traveling past the zenith of Moore’s (or should I more correctly say, Engelbart’s) prediction of technological evolution. Our screens and processors have reached their physical limit, and we have begun to explore virtual screenless display technologies. All our steps in creating or absorbing materials of the record proceed through one of the senses–the tactile when we touch keys, the oral when we speak or listen, the visual when we read. Is it not possible that some day the path may be established more directly? Terms like “Zero UI”, “Machine Learning”, and “Touchless Tech” are becoming more commonplace as we enter into the nascent stages of developing the technology to utilize other processes beyond touch screens and controllers to communicate with computers. Devices are presently learning our preferences and offering feedback without constant input from the user, forcing us to reassess our relationship with our technological achievements. The intrinsic rate of human performance is exponential. We set our own limits and continually surpass them, as has been reflected in this article. The many potential waypoints for the future of user interface evolution is entirely reliant on our own ambitions and how we act upon them. Bane, Michael. “9 Clonemakers Unite To Take On The Industry Giant.” Chicago Tribune. November 20, 1988. Accessed April 10, 2017. http://articles.chicagotribune.com/1988-11-20/business/8802180783_1_extended-industry-standard-architecture-ibm-compaq-computer-corp.
Bush, Vannevar. “As We May Think.” The Atlantic. July 1945. Accessed November 30, 2016. http://www.theatlantic.com/magazine/archive/1945/07/as-we-may-think/303881/. Crockett, Zachary. “The Woman Behind Apple’s First Icons.” Priceonomics. April 3, 2014. Accessed December 07, 2016. https://priceonomics.com/the-woman-behind-apples-first-icons/. Cross, Tim. “After Moore’s Law | Technology Quarterly.” Technology Quarterly. 2016. Accessed December 13, 2016. http://www.economist.com/technology-quarterly/2016-03-12/after-moores-law. Dewib. “Steve Jobs Presenting the First Mac in 1984.” YouTube. October 5, 2011. Accessed November 30, 2016. https://m.youtube.com/. “ENIAC.” ENIAC — CHM Revolution. Accessed December 02, 2016. http://www.computerhistory.org/revolution/birth-of-the-computer/4/78. Engelman, Ryan. 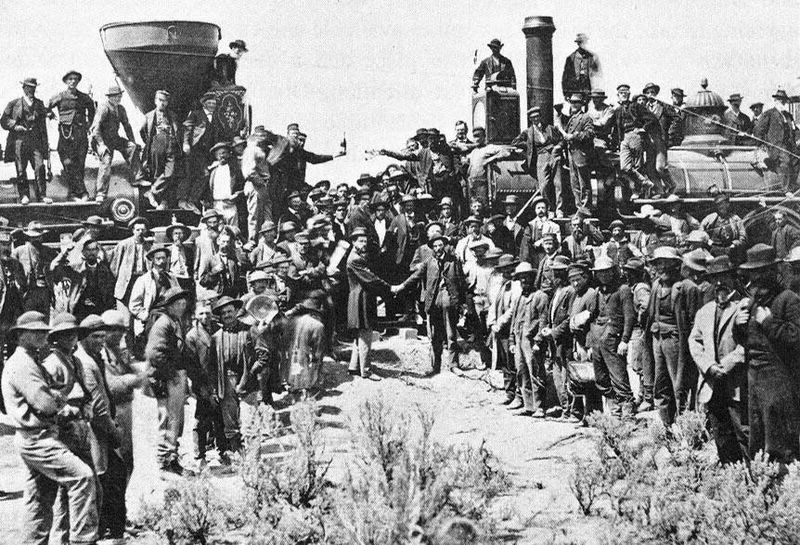 “The Second Industrial Revolution, 1870–1914.” US History Scene. Accessed November 30, 2016. http://ushistoryscene.com/article/second-industrial-revolution/. Honan, Matt. “Remembering the Apple Newton’s Prophetic Failure and Lasting Impact.” Wired. August 5, 2013. Accessed December 08, 2016. https://www.wired.com/2013/08/remembering-the-apple-newtons-prophetic-failure-and-lasting-ideals/. Laura Sydell. “The Forgotten Female Programmers Who Created Modern Tech.” NPR. October 06, 2014. Accessed December 01, 2016. http://www.npr.org/sections/alltechconsidered/2014/10/06/345799830/the-forgotten-female-programmers-who-created-modern-tech. Lupton, Ellen. Beautiful Users: Designing for People. New York, US: Princeton Architectural Press, 2014. ProQuest ebrary. Web. 30 November 2016. Markoff, John. “Computer Visionary Who Invented the Mouse.” The New York Times. July 03, 2013. Accessed November 30, 2016. http://www.nytimes.com/2013/07/04/technology/douglas-c-engelbart-inventor-of-the-computer-mouse-dies-at-88.html. Markoff, John. What the Dormouse Said: How the Sixties Counterculture Shaped the Personal Computer Industry. New York: Viking, 2005. Staff, Dispatchist. “The Laws That Govern the Universe.” Dispatchist. January 27, 2016. Accessed February 02, 2017. http://dispatchist.com/the-laws-that-govern-the-universe/. Tariq, Ali Rushdan. “A Brief History of User Experience — InVision Blog.” InVision Blog. February 26, 2015. Accessed November 29, 2016. http://blog.invisionapp.com/a-brief-history-of-user-experience/. Taylor, Frederick. “The Principles of Scientific Management, Ch. 2.” National Humanities Center. Accessed November 30, 2016. http://nationalhumanitiescenter.org/pds/gilded/progress/text3/taylor.pdf. “The IBM PC’s debut.” IBM Archives: The IBM Personal Computer. Accessed December 15, 2016. https://www-03.ibm.com/ibm/history/exhibits/pc25/pc25_intro.html. “Xerox Alto: Computers for “Regular Folks”.” Xerox Alto — CHM Revolution. Accessed December 02, 2016. http://www.computerhistory.org/revolution/input-output/14/347.